Over 100 members of media gather to the international Helsinki Horse Show every year. 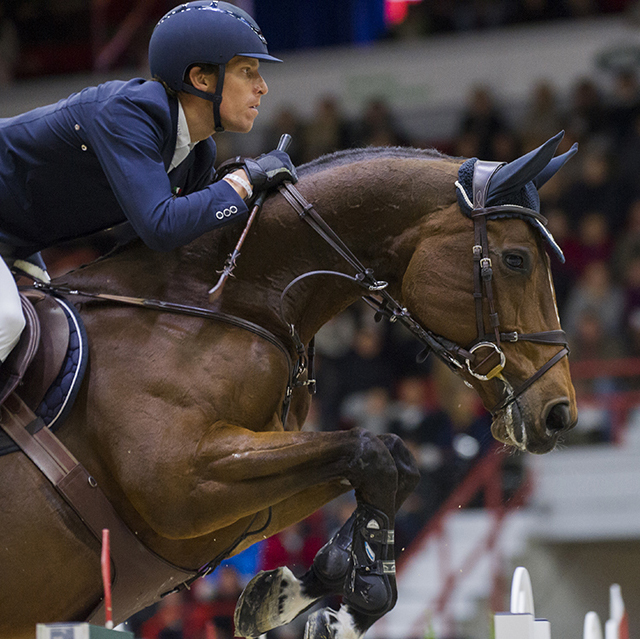 The Finnish National Broadcasting Company (YLE) broadcasts live the main competitions Helsinki Grand Prix and Longines FEI Jumping World Cup™. More than 400 articles were published last year about Horse Show and YLE sent more than eight hours of coverage from the competition. The Press Centre is located close to the main entrance of Helsinki Ice Hall. There is a separate entrance for the media next to the ice hall ticket office. Seating for the press is between tribunes F6 and F7. At the Press Centre you will find wireless Internet, a browsing computer with an Internet connection, pigeonholes to rent (in particular for photographers), workspaces and soft drinks. Please contact the Press Centre officers for assistance with questions and the rider interviews. Please allow enough time for the personnel to make the necessary arrangements. The warm-up area is open to the press and spectators alike. Accredited photographers get their photographer identification (a wrist band against a 5 € deposit) and information on the location of the photographing areas. Please note that visibility to the arena must not be obstructed. You can also take photos next to the warm-up arena. The stables are closed and there is no access to the stables even for the press. During the broadcasted classes on Saturday and Sunday please mind the TV cameras and avoid disturbing their operation. At the prize-awarding ceremonies photographers may operate on the riding course provided that they observe the instructions given by the course personnel. Access to the arena is arranged from the corner below tribunes B1/B2. All photographers and representatives of the press moving around the arena are kindly requested to dress neatly and follow the instructions given by the press officer and course manager regarding photographing areas and moving around the arena. NEWS, STARTING ORDERS, RESULTS ETC. Starting orders will be published on the web pages only upon closing of entry submittal, usually around 9-10 PM on the night preceding the class. Interviews with the winners will be arranged at the Press Centre on Friday, Saturday and Sunday right after the price-awarding ceremonies of the main classes. Information about any other press conferences to be held during the event will be published in information bulletins, on the web pages and the press centre information board.